That’s right, Daniel Ricciardo’s ‘Shoey’ has been trademarked by F1 for use on flasks, glasses, bottles, mugs, sculptures and figurines. It’s just the word and not the celebration which has been trademarked, which is good news for anyone else who does want to drink from a shoe. Although Ricciardo has made the act famous, it originated from Aussie surfing and fishing brand, ‘The Mad Hueys’ in the early 2000s. 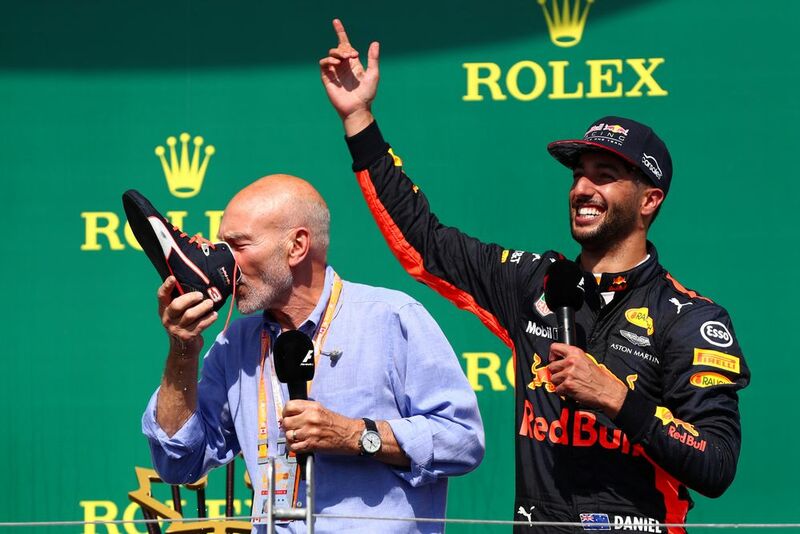 As a result, the Shoey has become pretty popular with Australians - Supercars driver David Reynolds and MotoGP rider Jack Miller have also indulged in the celebration. 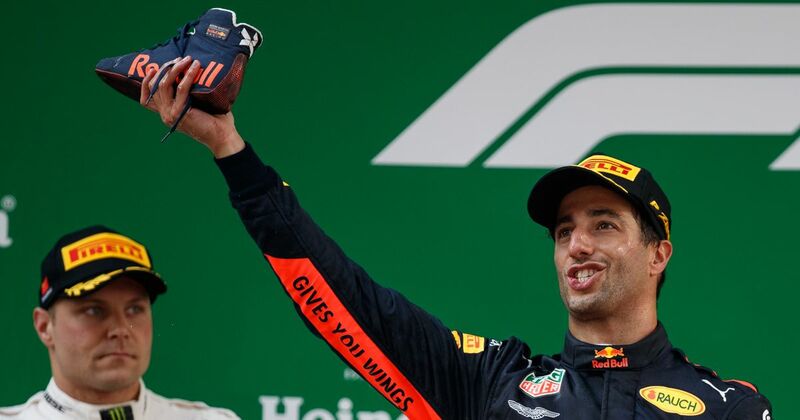 It doesn’t mean F1 is going to go about suing Australian drivers from other categories indulging in sock juice, but it does mean that anyone selling Shoey-themed drinking vessels could be slapped with a strongly-worded ‘stop-what-you’re-doing-or-else’ letter from Liberty Media. T-shirts are still fair game, though, as a move for the sport to trademark Shoey clothing was blocked. We’ve seen the sport clamping down on online content that uses official F1 media without consent and this move to own a word is another transition of this nature, hoping to draw exclusivity on something potentially profitable.